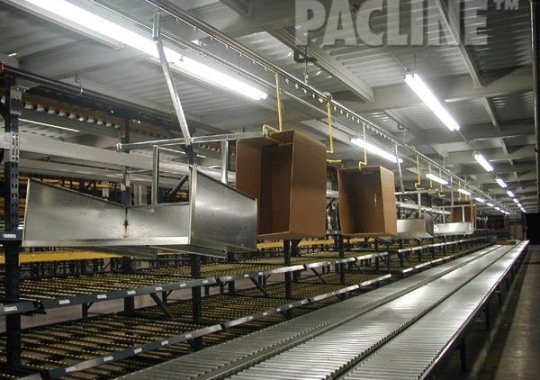 PACLINE’s enclosed track overhead conveyors are a cost effective means of moving vendor cartons, carton flaps, or other trash out of the pick module. 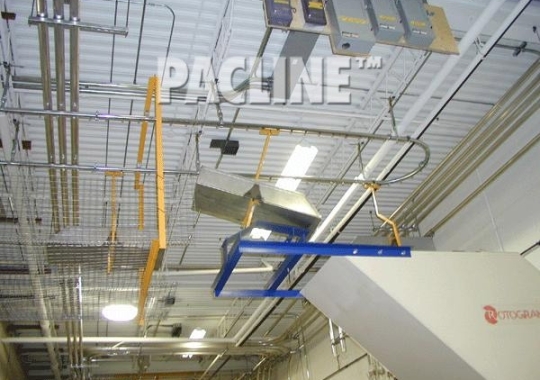 The PAC-LINE™ overhead conveyor system can easily transport trash to a disposal area located elsewhere in the facility. 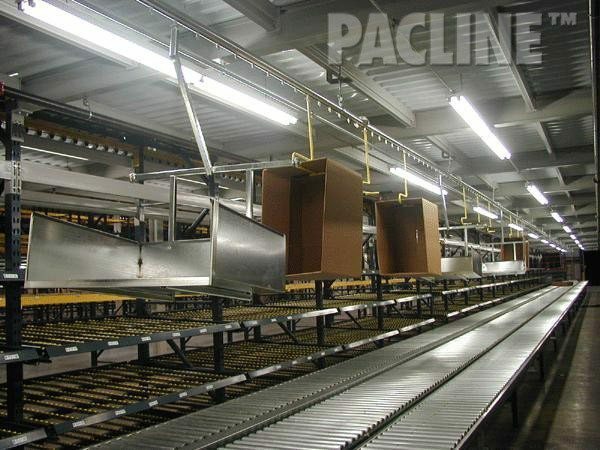 Better yet, combine the functions of delivering empty cartons or totes to the pickers while simultaneously removing trash on a single overhead conveyor system, and you will easily justify the purchase of your PAC-LINE™ conveyor system. The conversion is easy. Simply mix empty cartons or tote carriers with a dumping carrier and dumping device and increase your payback potential. 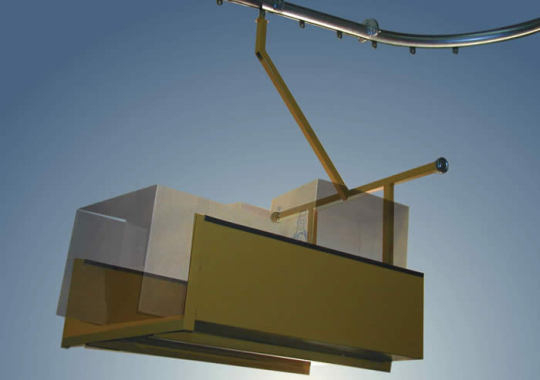 Conveyor offers an ergonomic and cost effective means of transporting trash to disposal area. 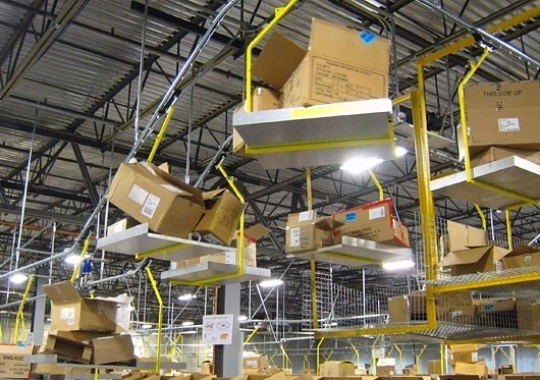 Modular conveyor track components reduce installation labor costs and ensure quick, trouble-free installation. 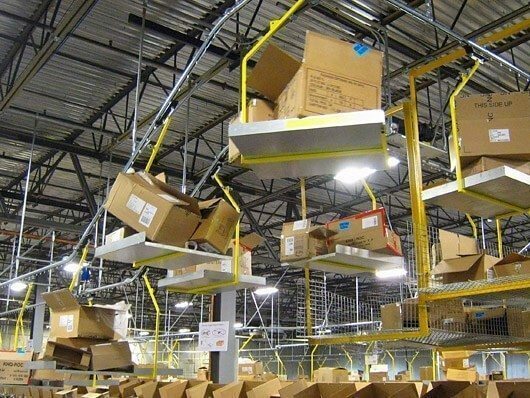 Standard conveyor design features include incline angles ranging from 15 to 45 degrees depending on the carrier and load. 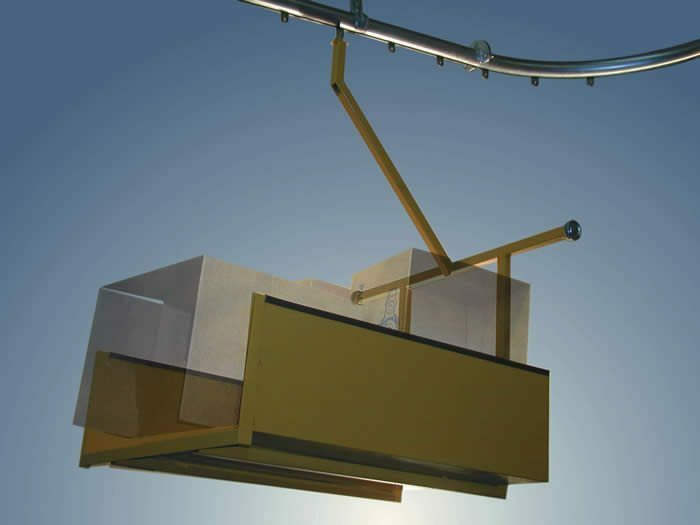 Enclosed, round track design prevents dirt from reaching the chain and bearing surface and reduces maintenance requirements. 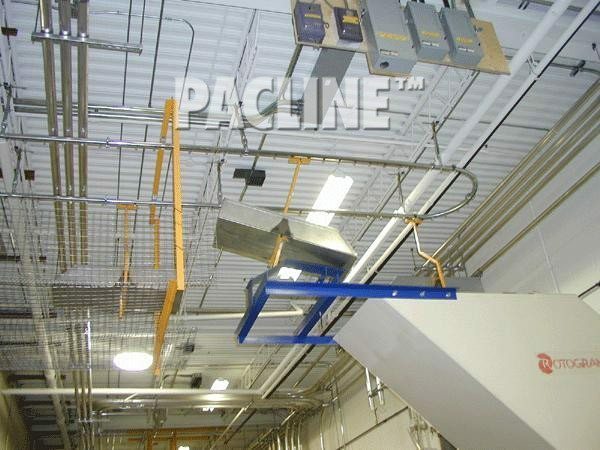 Safety guarding (used when load is conveyed over operator’s head) is easily attached to the conveyor using PACLINE guarding frames.